May was pretty fab for the team at Sugar Fix Dental Loft and for our May case of the month patient. What better time then the start of summer to receive a pearly white new smile, that will glisten in the summer sun. And, since Sugar Fix smile makeovers are designed to go the distance, our patient can rest assured his smile will compliment his style no matter what the season. 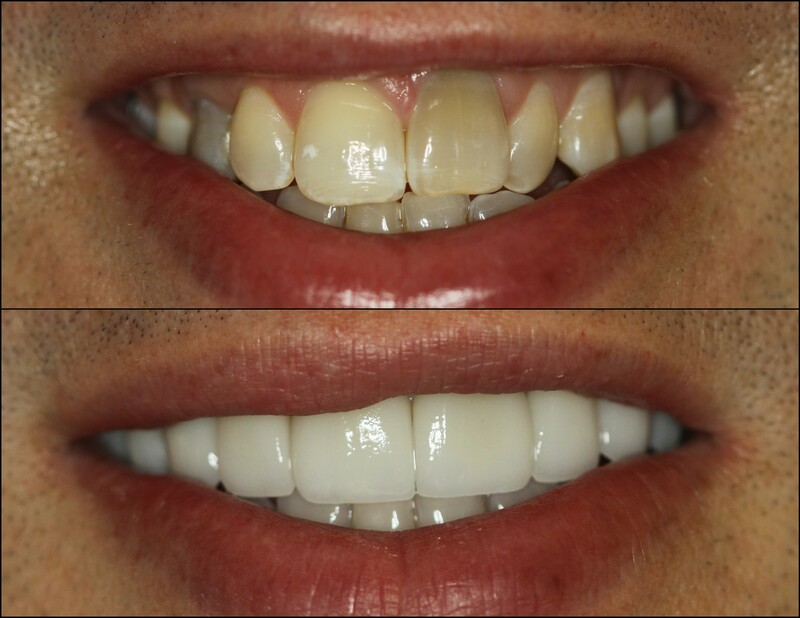 Once Invisalign treatment was completed, we whitened his teeth with ZOOM II Advanced Power Whitening and prepared them for the porcelain crowns and veneers that would take his smile to the next level. We payed closed attention to the characteristics and size of his mouth when considering the shape of his restorations, and factored in age and gender when selecting the shade for his new smile. We took several photos and communicated directly with our dedicated lab technician to ensure a lifelike and natural result. All of these little details are what makes the Sugar Fix smile design process so precise, allowing us to yield outstanding results time and time again. After our lab had the opportunity to work their magic, they sent the restorations back to us and we were ready to deliver the new smile our patient had waited so patiently for. This visit is all about details, details, and more details. Bonding the final restorations in place, playing with shade and light, taking photos, and basically test driving the esthetics before we permanently bond the restorations in place. We even emailed a picture to his wife for her input. Once we all agreed on the final touches, we delivered his new smile and celebrated with a photo shoot (shown above). So there you have it. Another successful smile makeover, brought to you by Sugar Fix Dental Loft! Until next time ~ keep smiling!